Stone Roses for a second resurrection? Rumours of a Stone Roses new album and tour has taken the nation by storm after numerous posters of the band’s iconic lemon have popped up all over Manchester. The band's most recent reformation was back in 2012 where they played three nights at Heaton Park and then went on to play a dominating world tour. Although people expected the third album to be way back in 2012 it wasn't so and people started to lose belief. 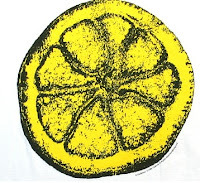 The iconic fruit of the Stones have been spotted in numerous shops around Manchester with each place referencing 16 lemons which could indicate a 2016 album release tour? Unfortunately at this time with promoters saying they "would not confirm that an announcement about the band was on the cards." However, one shopkeeper from the Northern Quarter in Manchester has stated he was asked to put the posters up Monday morning but was "sworn to secrecy about an announcement due in the next 24 hours". Could this finally be the resurrection we have all been waiting for?